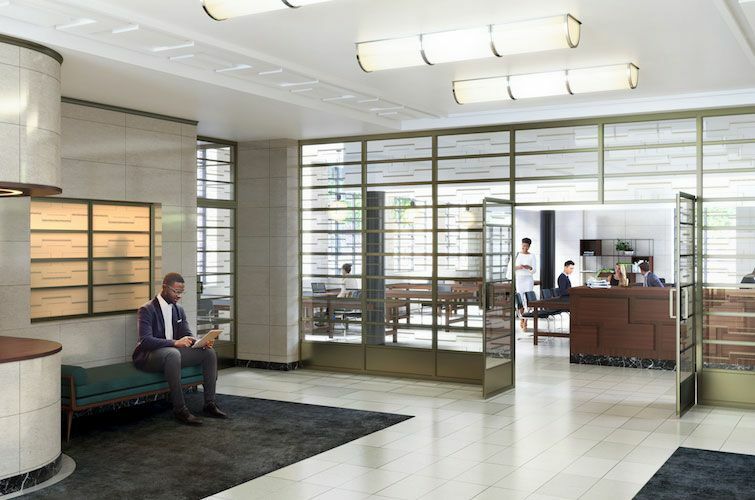 Opening up from the hotel reception, operated by Dorsett Hospitality International, you will find the main co-working hub operated by The Time + Space Co. The co-working hub and hotel Opening up from the hotel reception, operated by Dorsett Hospitality International, you will find the main co-working hub. This open-plan space will unite entrepreneurs, freelancers, creatives and small business owners from the Crouch End community. A concierge will also be on hand 24/7 in the Town Hall building. On the upper floors, further flexible workspaces will meet specific needs, from hot-desking areas to private offices designed for startups and growing companies. A selection of bespoke facilities are also being fitted across the building, with recording studios on the lower ground floor and rehearsal spaces in the assembly hall. Spread across four floors, the hotel will include a mix of rooms and suites, many of the rooms such as the old Borough Treasurer’s room, include original ironmongery and timber panelling that stretches from floor to ceiling. These unique features have been cleaned, retained and paired with modern pendant lighting and terrazzo-inspired worktops, giving each room a mix of period and contemporary fittings. 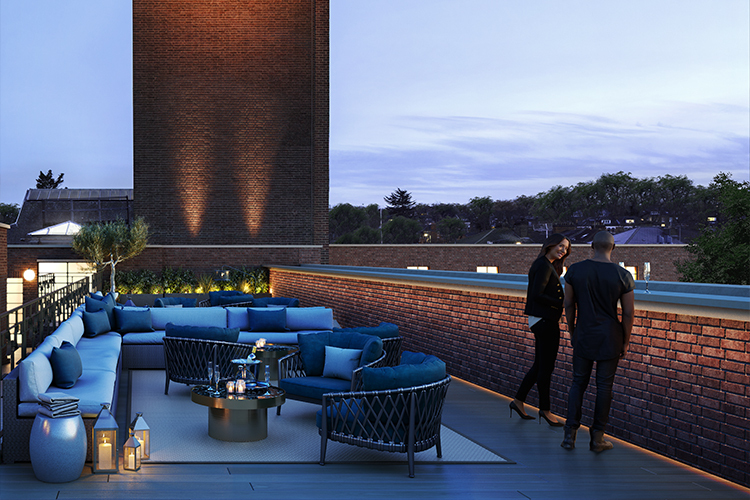 On the top floor, the roof terrace and bar will be a great place to relax, taking in the ambience and the far-reaching views across Crouch End and beyond.